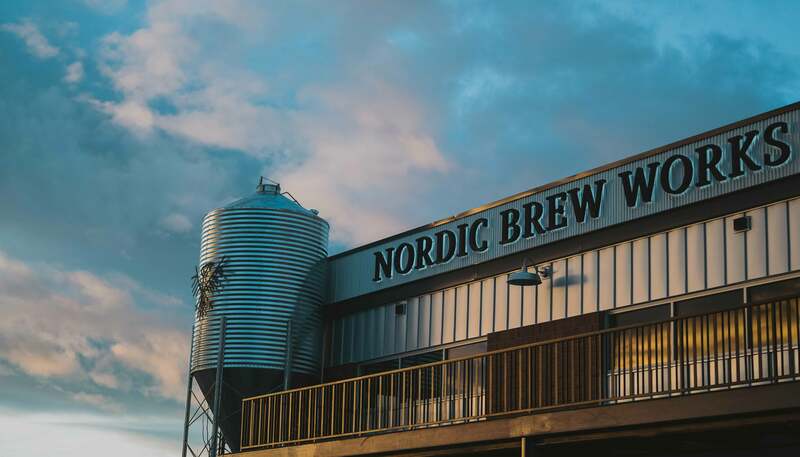 Nordic Brew Works opened in The Market building in 2018, specializing in wood-fired pizzas, craft-brewed beers and custom cocktails. Anchoring the west end of The Market building, Nordic embraces the same design elements and expansive, open environment as its parent structure. 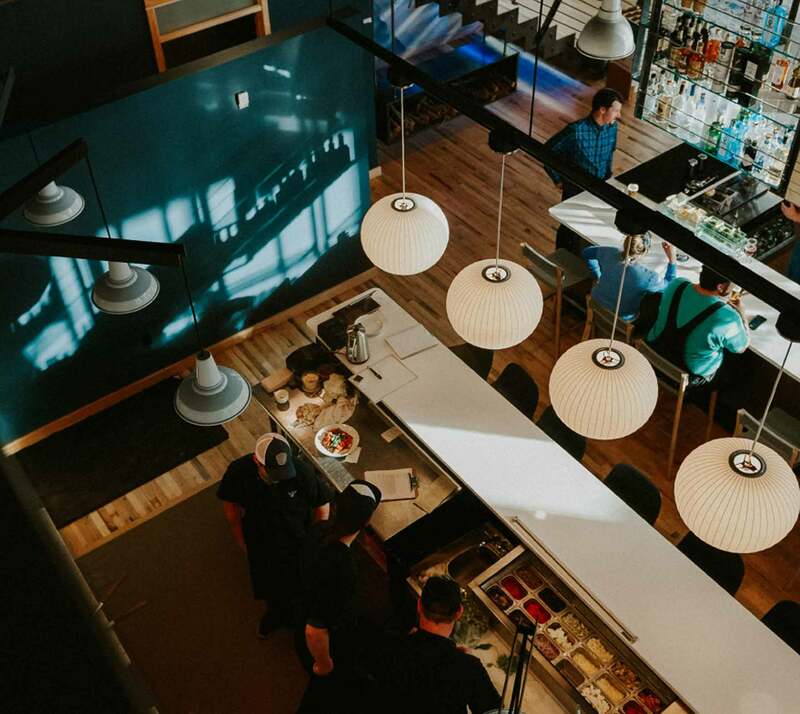 With a mix of new and old, Nordic’s style is all its own, drawing from the best of the past and present to create a unique, welcoming space that provides an in-town escape for locals and visitors alike. 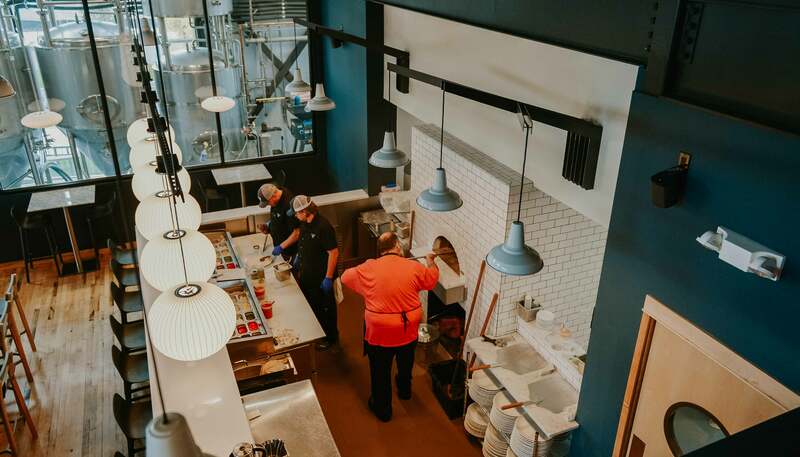 The space was designed and built by local artisans, artists and craftsmen who came together on a custom environment that balances elements of warmth and cool to create a space unlike any other in Bozeman. Custom elements include interior murals, welcoming fireplace by the front door and a floor-to-ceiling bar made of steel, glass and wood. A mix of old and new make Nordic unique. 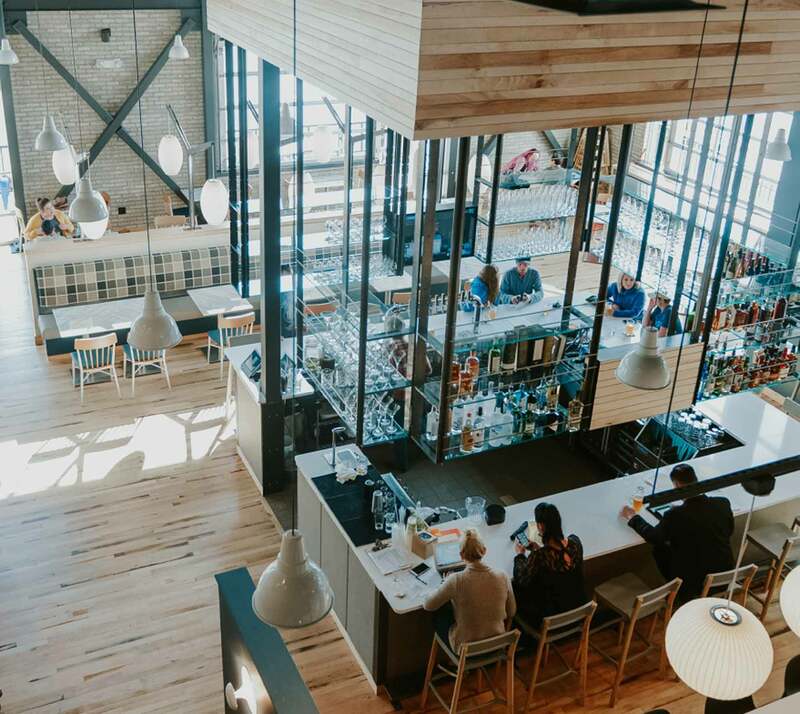 In addition to Scandinavian furniture and a state-of-the-art sound dampening system, Nordic also has classic features that harken back to Bozeman’s past, including the restaurant’s wood floor which was recovered from the historic Rialto Theater and painstakingly restored to last another 100 years. 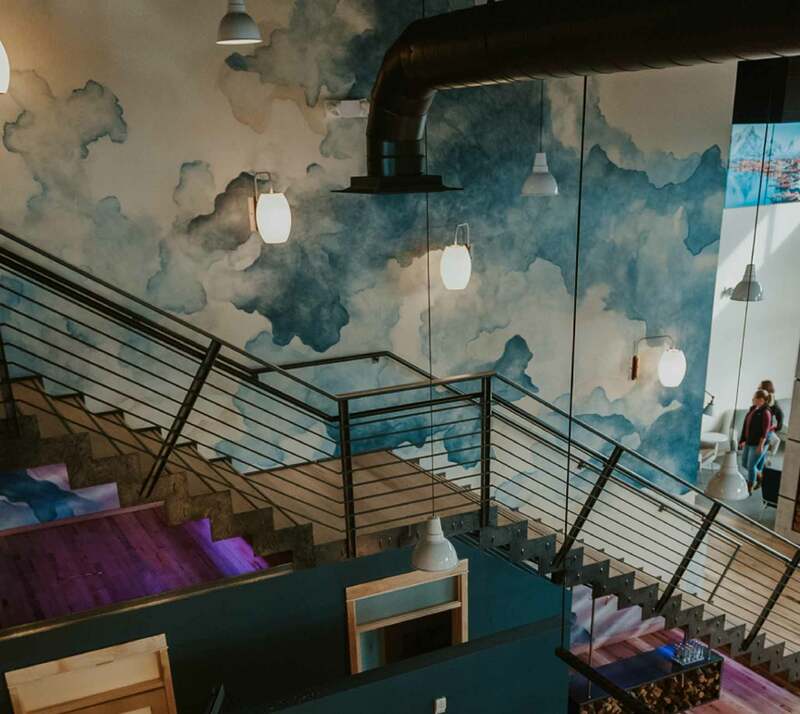 The two-story design offers patrons several seating options. 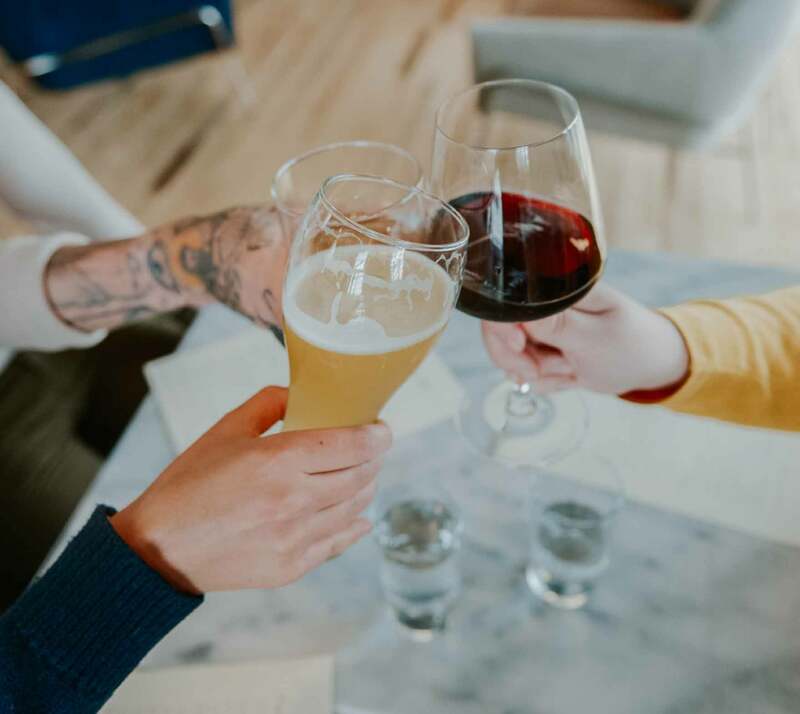 They can pull up a stool at the bar and order a craft-brewed beer, cozy up in front of the fireplace with a house-designed cocktail, grab a table in the downstairs dining room and share a meal with friends or head upstairs for a more intimate meal in the upstairs lounge. The summer is a great time to head outside to the patio to relax and soak in the scenery.